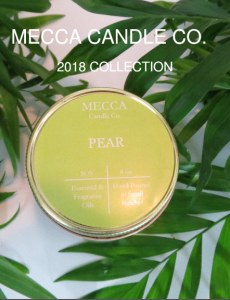 Feature Friday – MECCA CANDLE CO. Welcome to MECCA CANDLE CO.! Founded in 2018, our 100% soy candles are presented beautifully in gold containers and classic jars, all made using the finest luxury fragrance. We’ve created a unique scent and organic profile featuring high quality fragrances that you can enjoy anytime of the day or night. Our soy wax is carefully hand poured in small batches infusing the all natural scents into an easily-re purposed vessel with cotton wicks. Soy wax was an obvious choice for MECCA CANDLE Co. as it’s entirely natural and burns cleanly and evenly. Why do you need catalogs? New collections, wholesale clients, new arrivals. How do you show your catalogs to your clients? What are some of your favorite things about working with us? Click on the cover below to view this catalog or visit their shop by following this link.